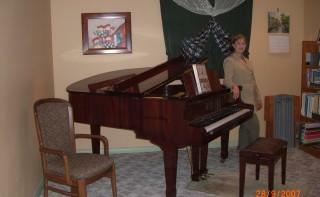 Looking for the best piano lessons in Calgary? Call Piano Spectrum today! I've brought my two children to Mila, after being with another teacher; what a difference; both kids loving to play piano all kind of music, including indie artists popular and so soothing piano music. Us (their Mom and Dad) just love to hear them play so well. When starting piano lessons, some people are starting with the student, or not very knowledgeable teachers, thinking the first early steps in piano education are not that important. This is one bad mistake to make: every step from beginner to very advanced grade in piano and theory is equally important. In fact, basic should be very strong to progress faster. Piano Spectrum provides the best education one can hope for.